Who will have the most passengers at the station? 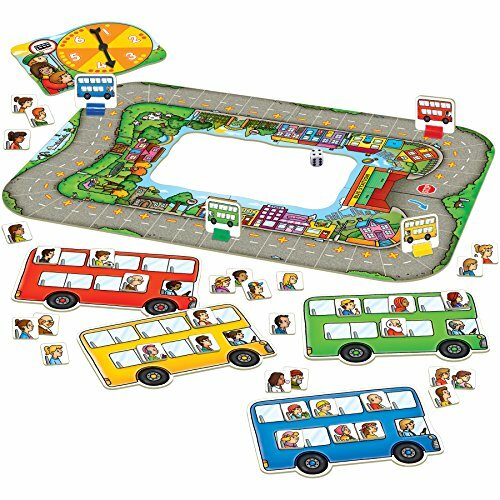 Drive your double-decker bus through town and see how many passengers you can pick up Play on the large, circular playing board Develops addition and subtraction skills Encourages observation and social skills Made in the United Kingdom - All game boards and packaging are made from 100% recycled and recyclable products A fun addition and subtraction game. 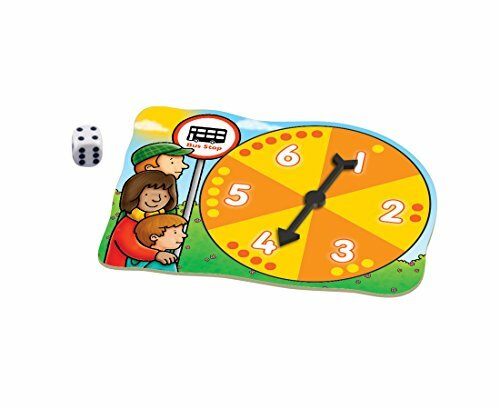 Take a counter and throw the two dice to move round the board counting passengers on and off your big bright bus. 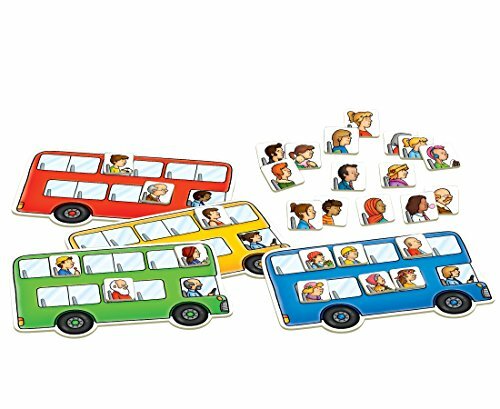 The winner is the player with the most passengers when their bus finally gets to the bus station. For ages 4-8, 2-4 players. 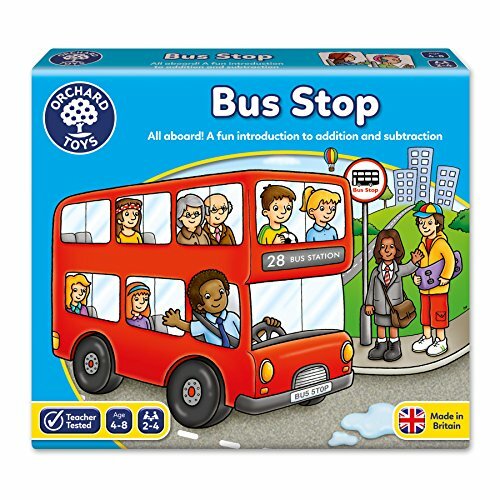 Orchard Toys products are made in Britain from durable recycled board and have a wipe-clean finish so they offer years of enjoyment and great value for the money. Their games and puzzles are also tested in schools and homes to ensure that they offer great play value. 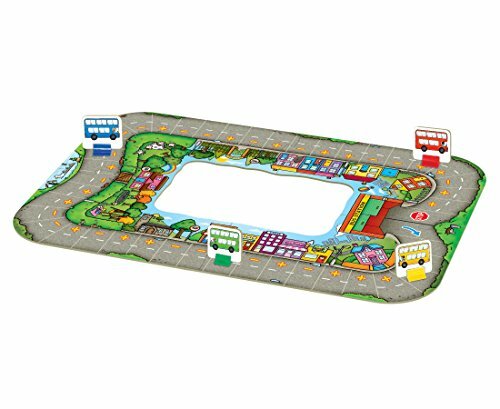 This ensures that their innovative games and puzzles continue to stimulate young minds and make learning fun. All of their products conform to European and US safety standards and offer years of enjoyment.